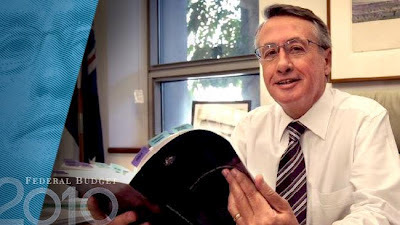 Left Focus: Responding to the 2012 Federal Budget – Better Late than Never! Responding to the 2012 Federal Budget – Better Late than Never! In this 'Left Focus' article Labor activist Tristan Ewins examines what Labor got right in its Federal Budget; what it got wrong; and the what the Conservative Federal Opposition's response says about Liberal Party Ideology. Debate welcome! Recently at this blog we discussed what would be desirable for the 2012 Federal Budget. A few weeks after we ask the question: Was this the ‘battler’s budget’ Swan and Gillard have claimed it to be? ; and on the other hand – have there been missed opportunities? Firstly there was a threadbare surplus of $1.5 billion – with over $30 billion of savings – but nonetheless a surplus. Whether a surplus was actually necessary or desirable at this point is open to question. On the southeast coast there appears more of a need for stimulus rather than austerity. Bringing forward infrastructure projects there would therefore seem advisable. Certainly achieving a surplus has loomed as a political imperative for Labor, and despite recent (and rare) questioning of this ‘imperative’ in the media, past coverage had consolidated the impression that consistent and continuous surpluses were equal to “sound economic management”. Liberal claims that Labor had not delivered a surplus since 1989-90 were hurting in the wake of that past, basically uncritical media discourse. On the other hand a balanced budget over the course of the economic cycle is desirable; with debt servicing weighed against growth, improved capacity and productivity stemming from social investments. Some of the largest savings were made from Defence – “Cut by $5.5 billion over four years”. Certainly this was preferable to savings in social programs and welfare; although a growing Australian nation holds the prospect of more self-reliance in Defence over the long term. This also could mean the prospect of greater foreign policy autonomy. The Government has also saved approximately $1 billion, cutting by half Superannuation tax concessions for income earners on over $300,000/year: which surely was welcome, but arguably did not go far enough. Indeed the Australia Institute has argued that the cost of superannuation concessions has blown out to about $30 billion a year; and Richard Denniss specifically has claimed that $10 billion of this goes to the top 5% of income earners. (!!!) This money could have provided a fair go for single parents; improved the shamefully regressive ‘Newstart’ unemployment allowance by $50/week, and radically improved the quality of Aged Care for those needing high intensity care; and those preferring low intensity care in a more social environment. It also could have been redirected into mental health services where the government has a record of “robbing Peter to pay Paul” rather than sufficiently expanding funding for all areas of real need. Setting the ‘high income benchmark’ at $300,000/year is being far too generous for many who are on ridiculously high incomes: and yet single parents are singled out to be pushed on to the Newstart Allowance if they do not find work – with the welfare of their children cast into serious doubt. The rationale is not to upset so-called ‘aspirationals’ – But arguably there is more to gain electorally by consistently and visibly assisting low to middle income groups. The projected cut in Company Tax has been deferred – but should have been shelved entirely. By ‘trumping’ Abbott with a similar 1.5% levy on big business as planned with his own paid parental leave scheme, Labor could redirect that money to further initiatives in Aged Care, mental health or further cost of living relief for low and middle income Australians. This would ‘back Abbott into a corner’, making it hard for him to justify his priorities; and making it difficult for him to impose a further Company Tax levy on top of Labor’s levy. Money could also have been directed in future social finance and ownership of transport, energy and other infrastructure – with the savings from lower borrowing costs, productivity agreements with unions, and a non-profit footing – delivering very significant savings for consumers. Providing tangible results for the NDIS ahead of the next election could be crucial in establishing the credentials of the government as being based on more than just ‘talk and distant commitments’. So bringing forward the NDIS as much as possible is a very welcome development. Though as this author has also argued in the past: the proposed Aged Care reforms while welcome do not go nearly far enough to provide for the basic needs of some of our most vulnerable aged Australians. More financial support is needed for Carers; and more funding is necessary for residental care for those who choose it – and those who require high level care and do not have a choice. Sustainable quotas are also necessary for aged care workers and nurses; and resources to improve quality of life for all kinds of aged Australians suffering social isolation, financial stress, difficulty with day-to-day living, and the indignities that come from an under-resourced, sometimes profit-driven and under-regulated residential care sector. Over at ‘The Conversation”, meanwhile, there has been the observation that the Federal Budget “includes $515.3 million dentistry package” with “$345.9 million…used to treat patients on long waiting lists and providing other vital services to adults.” See: http://theconversation.edu.au/what-the-budget-means-for-dental-care-in-australia-6792 But the Greens were justifiably critical of Government plans to axe the Medicare Chronic Disease Dental Scheme, and have argued for means-testing of the scheme instead. An expansion in FamilyTax Benefit A with an increase of the benefit to low and middle income families with two children to $600/year, and $300/year for families with a single child. A “Schoolkids Bonus” to help 1.3 million low and middle income families meet the costs of schooling: $410 for each primary school child, and $820/year for each child in high school. In ‘The Age’ such new initatives were given a price tag of about $5 billion – So they are inarguably very significant! Imaginably this could be the beginning of an ideological offensive by Labor on the issue of distributive justice. For years now the monopoly mass media have reinforced the perception that redistribution equals ‘class war’; while attacks upon welfare and organised labour apparently do not! Abbott and the monopoly mass media have directed salvo after salvo against the very principle of redistribution to correct injustices inherent in unregulated laissez faire capitalism. Facing very little criticism or scrutiny in the media, Abbott even begrudged the very basic social solidarity of the once-off flood tax – to assist those effected by the Queensland disasters. Meanwhile important social initiatives have been dismissed in the press with the loaded expression “cash splash” – the intent clearly being to infer economic irresponsibility in a blatant piece of popular-psychological manipulation. Yet as against this cyncial and socially damaging political tactic this author remembers very clearly former PM John Howard supporting the principle of progressive taxation some time before being defeated by Kevin Rudd in 2007. The Conservatives need to decide whether to pursue a mix of economic conservatism and political liberalism; or whether to adopt a ruthless neo-liberalism which cares little for the poor and disadvantged; and for the political and civil liberties of citizens. It is important to observe, also, that ‘economic conservatism’ need not imply economic liberalism, but rather could accept Keynesian assumptions (in past accepted by Liberal governments) on the mixed economy and counter-cyclical demand management. Yet Joe Hockey seemed to be quite clear recently on QandA that he cared little for the traditional Australian spirit of egalitarianism. But for Labor stronger action is necessary to place class faultlines and class interests in clearer relief. The principle of class struggle is seen by many as being discredited even on the Left – which has reverted to a kind of modest social liberalism. But when we speak of class interests and class struggle this need not imply terroristic Stalinism; or to begrudge citizens their human and civil rights on the basis of class. Rather the purpose of democracy is at least in part to set free oppositions of interest and provide a framework for their peaceful resolution. Or where this does not work, to contain conflict to forms of civil disobedience which do not descend into an escalating cycle of violence. It warrants the question: What problem does Tony Abbott and the Liberal Party have with workers and disadvantaged groups organising industrially and politically to pursue their legitimate interests; Indeed – to pursue justice, compassion, and ‘the fair go’? Having to achieve more but with less can drive efficiency – so there is some benefit in a government operating under tight fiscal circumstances. Indeed, a comrade in the Socialist Left of the ALP recently commented to me that rather than spending billions more in areas like Aged Care that we could achieve more ‘electoral kudos’ (my term) with well targeted and innovative initiatives. But sometimes there is no getting around the need for an injection of greater resources. Much of this year’s Federal Budget was just reprioritisation – with little new money. Again: In accepting this framework Labor will repeatedly find itself in the position of ‘having to rob Peter to pay Paul’. In public education, aged care, mental health, welfare, public housing, disability support and services, and crucial transport and other infrastructure: ‘trying to do more with less’ can only take you so far. For instance: the Gonski recommendations for Education simply cannot be implemented without billions in new funding; nor can a sustained introduction of Medicare Dental. By comparison – moving initially from 100% to 75% Dividend Imputation, further cutting superannuation concessions for the wealthy top 5% of income earners, reforming the Mining Tax, and applying an ‘Abbott-esque’ levy on business via Company Tax – along with other reforms – could have grown social expdeniture by 1.5% of GDP – or approximately $22 billion in new and improved initiatives. And yet with $5 billion of largely redistributive, social-justice, Cost-of-Living oriented policies - this is arguably a traditional Labor Budget. It puts many of Labor’s core low to middle income constituencies first in way we haven’t seen so much in quite some time. Now, though, Labor needs to turn the to source of the Cost-of-Living crisis. Firstly, this must include implementation of the Gonski recommendations – so low and middle income families can feel secure sending their children to State and poorer Independent schools – at peace in the knowledge they will not be disadvantaged, and that there is no need to ‘go beyond their means’ in providing a private school education. And reversing privatisation, and promoting public housing and infrastructure for emerging new suburbs also need to find themeselves to Labor’s ‘policy radar’ with policies that attack Cost-of-Living pressures at their very root.